Making energy improvements to your home is part of maintaining it. One way to reduce air conditioning costs in the summer and circulate warm air in the winter is to have Custom Touch Electric install ceiling fans in your home or office.Ceiling fans save energy so that will lower utility costs.Our team at Custom Touch electric installs ceiling fans in the safest way and takes all the necessary precautions to make sure that your ceiling fan installation is done right. 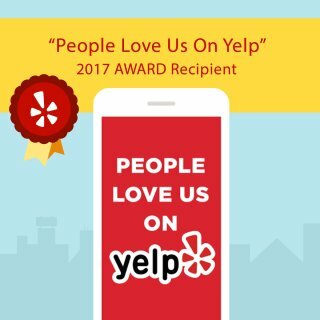 A common misunderstanding among Fallbrook homeowners is that ceiling fans actually reduce the temperature in a room and allow lower air conditioning settings as a way to save on electricity costs. In reality, in the summer a ceiling fan with blades rotating counter-clockwise creates what is called a “wind-chill” effect by evaporating moisture on our skin. On a hot and humid summer day, this “wind chill” effect can make the room feel at least seven degrees cooler so that you can avoid running the air conditioning even when the actual room temperature is in the mid-eighties. Having Custom Touch Electric install ceiling fans in your residential or commercial location can also be decorative, add character, personal style and lighting to a room. 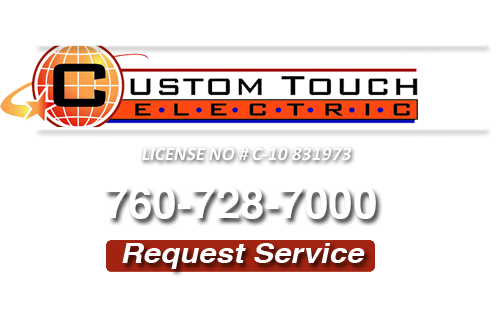 Custom Touch Electric in Fallbrook, CA is the professional team that you can trust with all of your electrical needs. Call us today for more information on ceiling fans! 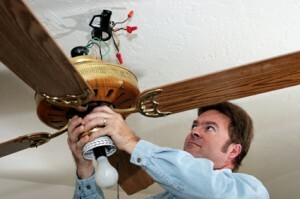 If you are looking for Ceiling Fans in Fallbrook then please call 760-728-7000 or complete our online request form.